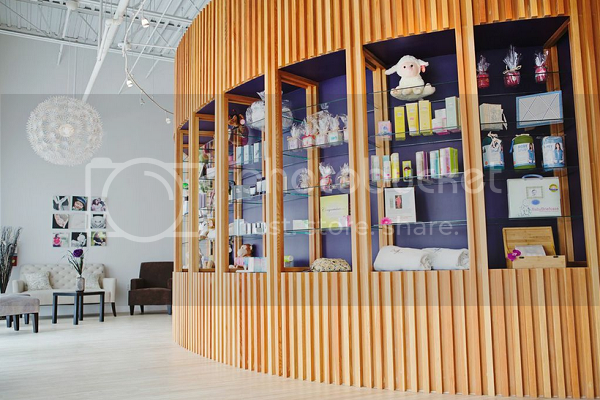 Upon first walking into Belly Love, I was amazed by the clean, bright and beautiful lobby. 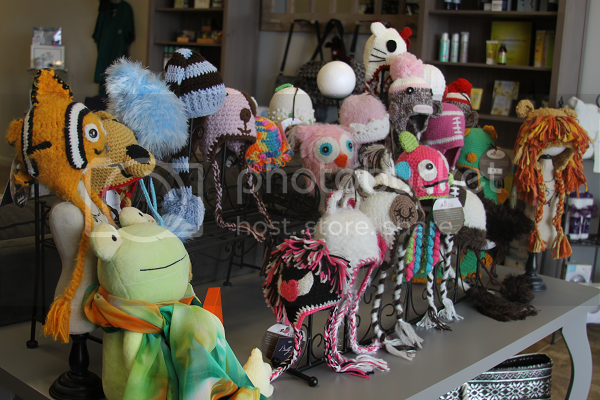 The shelves were lined with every lotion, cream, oil or product that any mom, new mom or mom-to-be could possibly want. Belly Love's plush, white robes were also for sale and, let me tell you, it was hard to resist buying seven and just wearing one for every day of the week in lieu of actual clothes. They're that comfy. As pregnant ladies came in -- and there were several, seeing as how it was a busy Saturday and the day before Mother's Day -- the Belly Love staff handled everything with grace and kindness, effortlessly ensuring each mommy-to-be was brought to where she needed to be to relax. Belly Love offers many services from an extensive massage menu to 3D/4D ultrasound and hypnotherapy and all of the clients were quickly directed to where they needed to be. No waiting, no stress. It's like instant zen once you walk in the front doors of the spa. I was able to experience the 50 minute Perfect Pregnancy Massage, which is a full-body massage completely safe for pregnancy. I was skeptical of how perfect this could be, seeing as how at nighttime even my bed feels like I may as well be laying on a bed of nails due to the discomfort, but I was immediately in awe once I stepped into the massage room (this is after filling out my paperwork in the dimly lit, candles-flickering peace of the massage waiting area -- which I sort of wanted to move into). 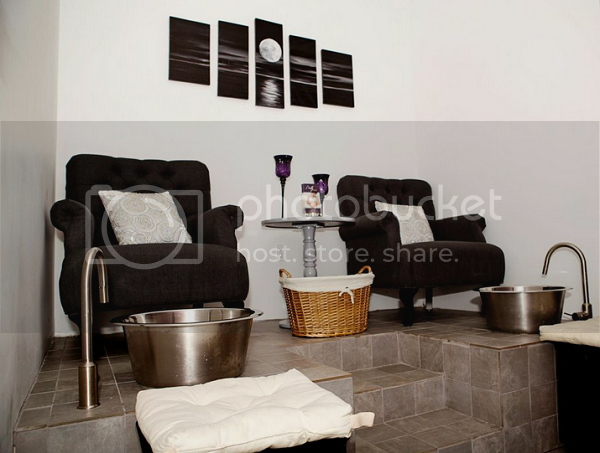 The massage experience was definitely catered to the pregnant body, complete with a pregnancy pillow to hug as you laid on your side and pillows like fluffy little clouds to prop your body to where it is most comfortable. The masseuse, Rebecca, was awesome and made sure to check not just what pressure I preferred but that I was comfortable. It turns out one actually can be both pregnant and comfortable. When they say full body massage, they mean it. Everything from my forehead to my fingertips to the tips of my toes felt renewed and refreshed. Rebecca asked if I had any specifically tense areas and I was quick to answer my neck, shoulders and upper back -- I mean, again, being pregnant is hard enough but throw in the 41 pound toddler and I'm surprised I can even move at all. I'll just say that after the 50 minutes, my neck and shoulders feel free, loose and so relaxed. I also noticed that the masseuse was using natural and organic products during the massage ensuring extra safety for mommy and baby alike, which was a huge perk! The massage was beyond wonderful and I climbed off the massage table feeling about fifty pounds lighter. 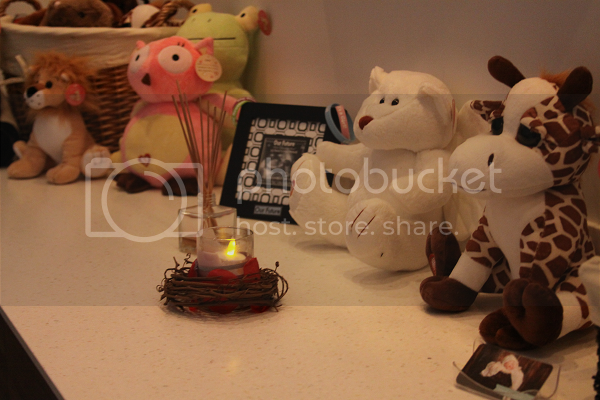 The ambiance of the massage room was also a real treat: soft music, candles and darkness to be able to just relax in. After the massage, the wonderful staff at Belly Love had another fun treat for me: I got to have baby girl's heartbeat recorded and put into a stuffed animal. I knew this would be a perfect keepsake for Ethan to have of his baby sister and it was such a cute idea. I have one low-quality Blackberry video of Ethan's heartbeat in utero that I'm terrified to lose. This is such a special way to keep baby's heartbeat with you always and it, too, was such a fun experience! After browsing the vast array of heartbeat animals, I chose the elephant for Ethan and laid on the ultrasound table to hear baby girl's heartbeat. The ultrasound technician also snapped me a quick 3D/4D photo of baby girl and it was the first time I actually got to see her face (she has Ethan's little nose, for sure!). After leaving the main Belly Love spa, I got to go a few doors down to visit Belly Love's maternity boutique. 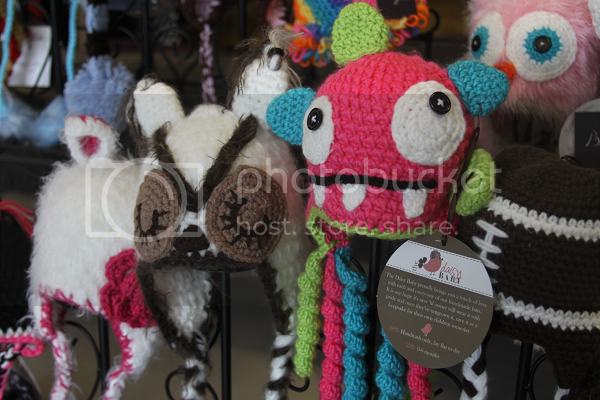 From the moment I stepped into the boutique, I was captivated by the gorgeous display of crocheted baby beanies. I'm sort of a sucker for baby beanies. (I'm totally coming back for the Hello Kitty and little pink monster one!) The rest of the boutique is filled with goodies from maternity clothing (tops, bottoms, dresses, lingerie, swimwear and everything in between) to new mom essentials (Moby Wrap, Teething Bling, diaper bags and more!). 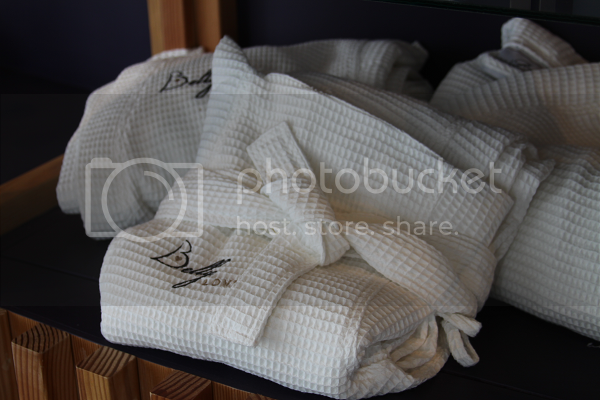 Much like the neighboring spa, the Belly Love boutique is relaxing and soothing to walk through and shop. After my experience today at Belly Love, I'm very much regretting not giving myself any spa time during my first pregnancy. You know what they say, when you know better you do better. I'll be doing better a whole lot more this go 'round -- I can only imagine how amazing Belly Love's massages feel once you hit that third trimester (in the dead of summer! What was I thinking?!). For you fellow pregnant mommies here in South Florida, be sure to check out the complete list of massage options at Belly Love! If you're a new mommy, there's even a post-partum massage for you. If you're simply planning on becoming a mommy, there's a preconception massage option, too! And, of course, for you overdue mommies ready to burst, there is an induction massage option as well! Whatever your ailment or chief complaint during pregnancy is, Belly Love has you covered (there's an even option for those pesky leg and muscle cramps!). It is wonderful to be able to relax in an environment where they understand how hard it is to relax during pregnancy and where they work tirelessly to make it happen! 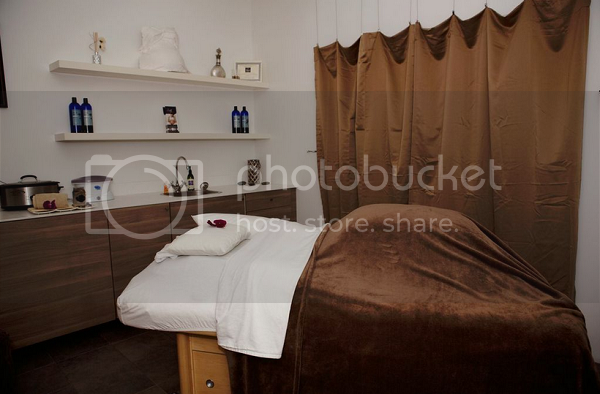 Visit Belly Love Spa, Ultrasound Center & Boutique at 3420 NW 62nd Avenue in Margate. They can be reached at (954) 228-4772 or online at http://www.bellylovespa.com (along with a complete list of their services offered). Stay connected with Belly Love on Facebook, Twitter and Instagram for more great news and offers! Gift certificates are also available if you're looking for that perfect gift for the mommy or mommy-to-be who has everything!